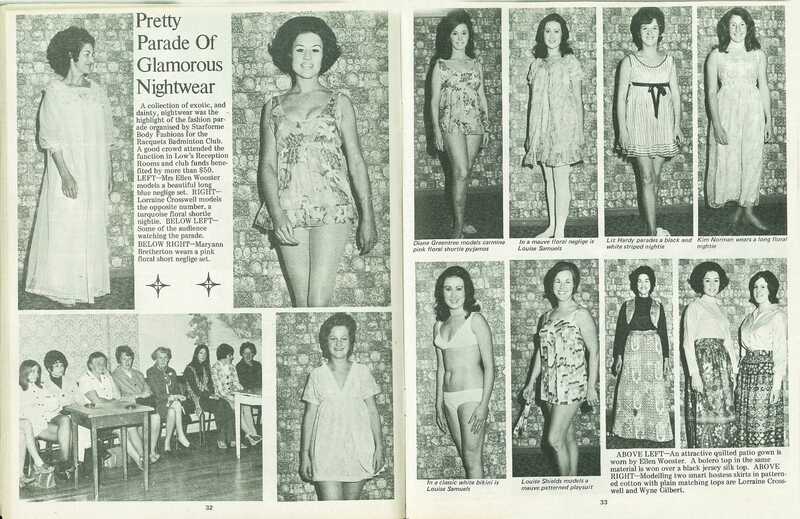 A collection of exotic, and dainty, nightwear was the highlight of the fashion parade organised by Starforme Body Fashions for the Racquets Badminton Club. 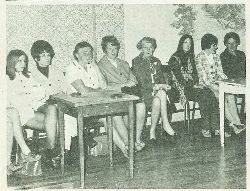 A good crowd attended the function in Low's Reception Rooms and club funds benefited by more than $50. 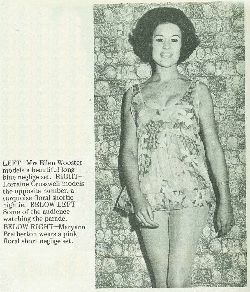 Mrs Ellen Wooster models a beautiful long blue neglige set. 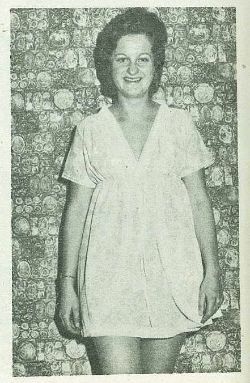 Lorraine Crosswell models the opposite number, a turquoise floral shortie nightie. 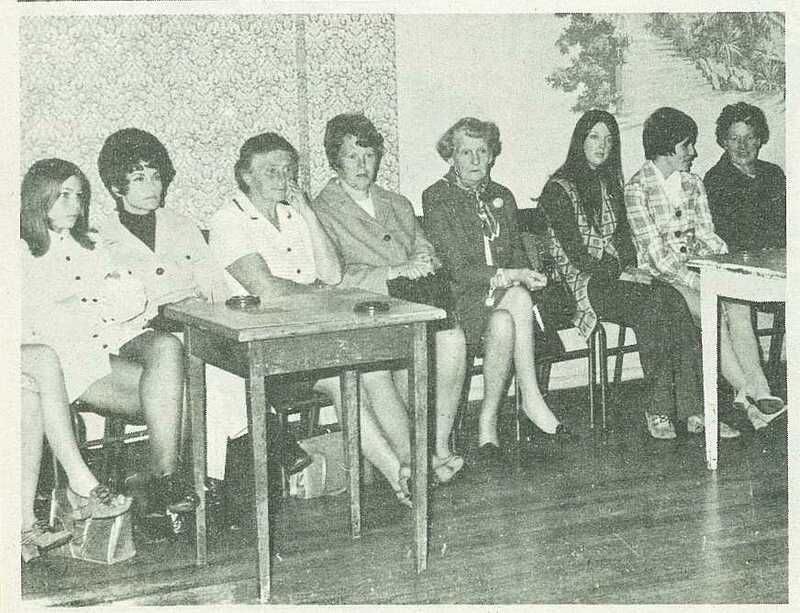 Some of the audience watching the parade. 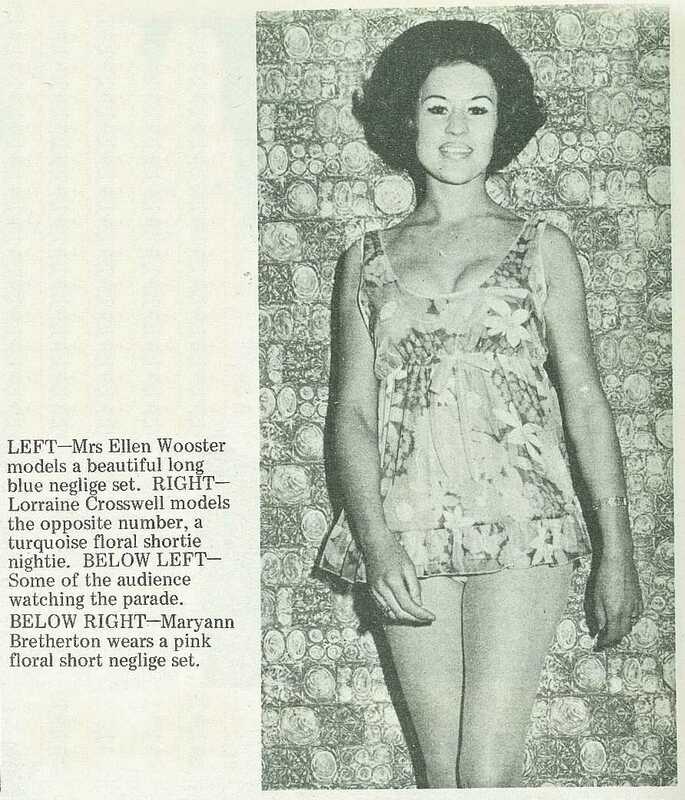 Maryann Bretherton wears a pink floral short neglige set. 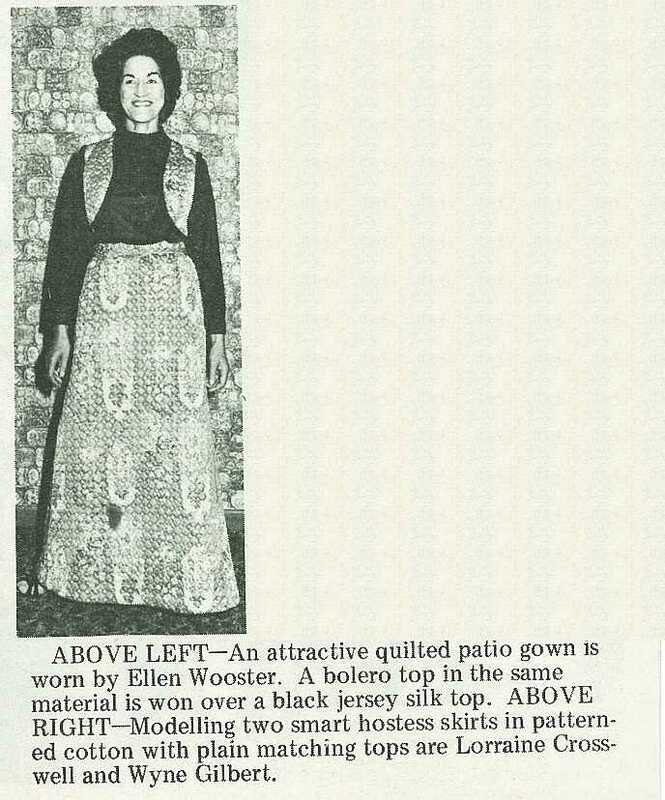 An attractive quilted patio gown is worn by Ellen Wooster. 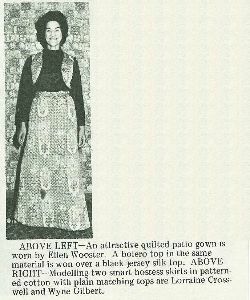 A bolero top in the same material is won over a black jersey silk top. 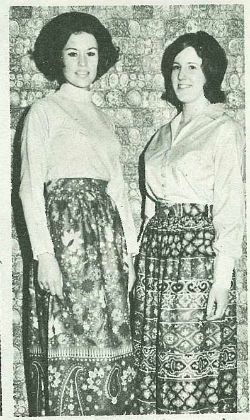 Modelling two smart hostess skirts in patterned cotton with plain matching tops are Lorraine Cross-well and Wyne Gilbert.